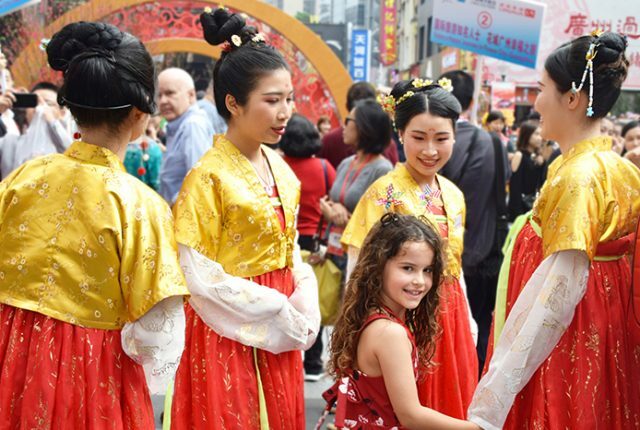 With United Airlines launching flights direct from Sydney to Houston, an already popular hub that connects travellers to America’s Southeast, Midwest, East Coast and Latin America, Australians are wondering what the city, America’s fourth-most populous and most diverse city, might have to offer visiting families. I discover, after a few days of the city’s extreme congeniality, the answer is plenty. 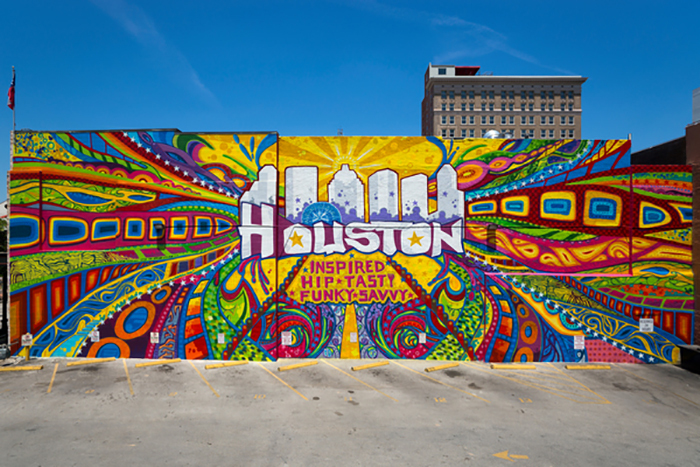 Here are just eight great ways to spend 48-hours in Houston with Kids. It’s number one on everyone’s Houston to do list and for very good reason. The not to be missed Houston Space Centre is the nonprofit gateway to NASA’s Johnson Space Center. Inside are auditoriums screening movies, a scale replica of the space shuttle and hundreds of exhibits including real Gemini, Apollo and Mercury space capsules, a Skylab Training module that you can walk through, pieces of moon rock and mars rock visitors can touch, an enormous collection of space suits, pop up shows based on STEM technologies, real-life astronauts to meet and greet and a fun space-themed play area for little visitors. 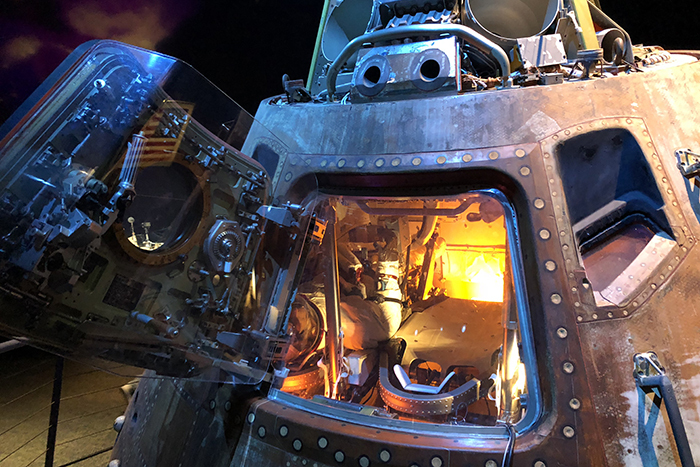 The Tram Tour to the heart of NASA’s Johnson Space Centre and Historic Mission Control, in all its retro glory, is an unmissable experience. 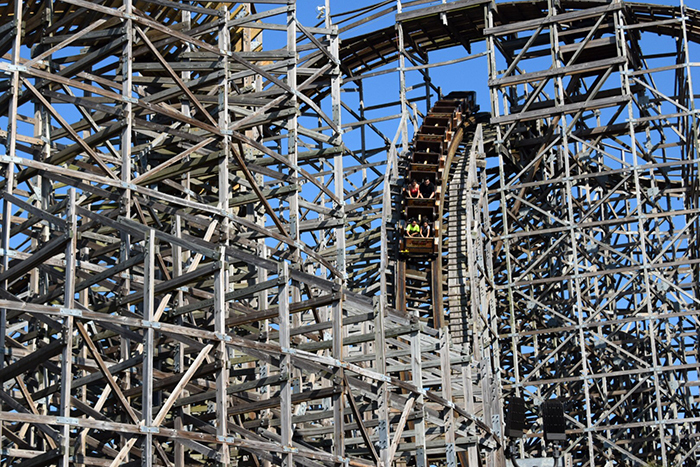 The Kemah Boardwalk has quickly evolved from a rustic waterfront dining experience to a weekend destination with little thrill seekers getting their fix of fun on the double-decker carousel and Ferris wheel, and older kids pumping up the adrenalin on the high speed wooden coaster, drop zone and looping thrill rides. There’s still plenty of great food to be found. Kids will specially love The Aquarium where they can dine on local delights under the blue reflections of a tank full of stingrays and fish. Afterwards you can head downstairs to the Stingray Reef & Rainforest Exhibit Experience to hand feed the rays, who are just as friendly as the other Houston locals. During the holidays there’s plenty of entertainment too with a lighted boat parade and toy drive, Rock the Dock, a summer music festival, and Friday night fireworks. To make the most of your weekend, book a stay at the seriously gorgeous Kemah Boardwalk Inn, a 58-room, boutique beauty with family-sized rooms and eager to please staff, located right in the centre of all the action. 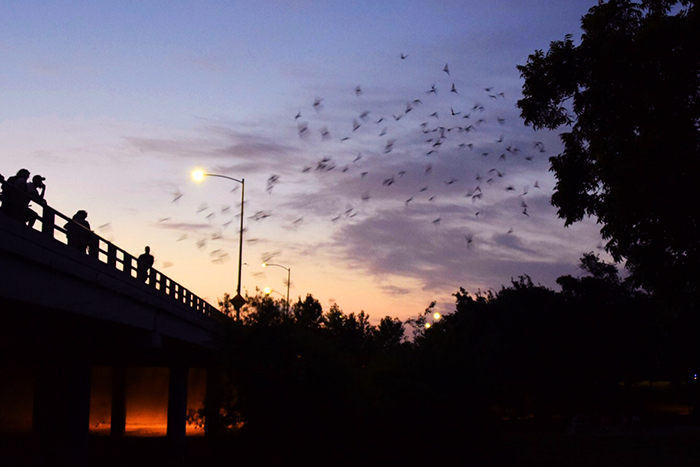 Every night as the sun goes down, an estimated 250,000 Mexican free-tailed bats emerge in a whirlwind like formation from the crevices under the Waugh Drive Bridge. The sight of the little bats on the hunt for insects – they chow down on around two and a half tons of them every night – is one to behold. But beware, sensitive kids may get upset at the whole circle of life scenario as they are not the only ones on the prowl, and the sight of predators like the night herons and Peregrine falcons swooping in to nosh on a little bat is not uncommon. They say everything is bigger in Texas and that appears to include dinosaur exhibits. 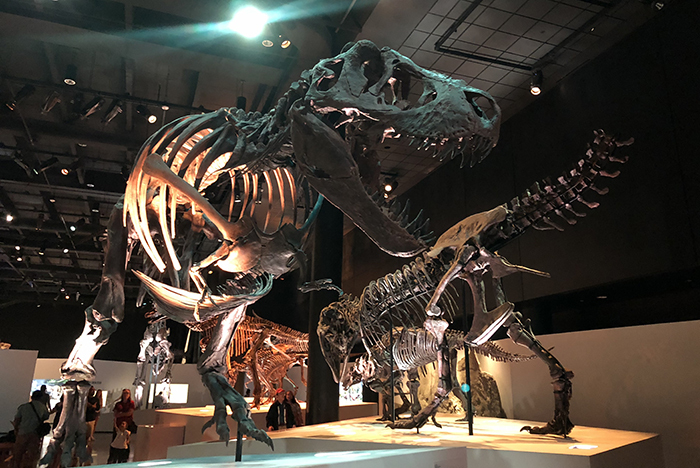 The Morian Hall of Paleontology at Houston Museum of Natural Science spans 2,800-square-metres and is packed with massive replicas of prehistoric creatures taking visitors on a journey, 3 billion years in the making. Their stories connected and illustrated by animated monitors and colorful murals, the museum’s 60 jaw-dropping prehistoric skeletons, including three Tyrannosaurs and a mummified triceratops, are displayed in dynamic, fluid poses, some suspended from the ceiling, to show them chasing, eating and escaping from each other in a reenactment of their lives. If you can drag your awestruck dino lovers away, the museum also houses a fascinating Planetarium, dazzling displays of gems, local wildlife, Native American Culture and an incredible Hall of Ancient Egypt, where hundreds of artefacts are on display, including an amazing collection of mummies that I have to admit gave this mummy the heebie-jeebies (I’ve watched way too many episodes of Scooby Doo and I don’t trust those pesky petrified kids). Located in the Museum District, alongside lush and lovely Hermann Park, the Children’s Museum of Houston is a playground for the mind offering epic and educational fun for kids of all ages. 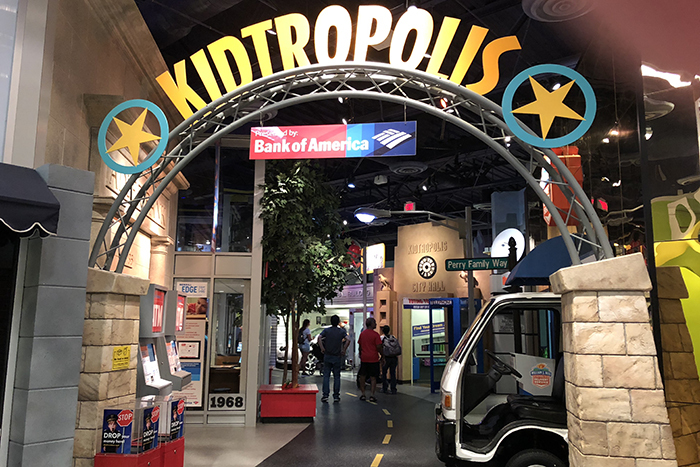 Rated the number one children’s museum in America by Parents Magazine, you’ll find innovative, interactive hands-on exhibits covering topics including arts, physical challenges, construction, science, invention and the environment. 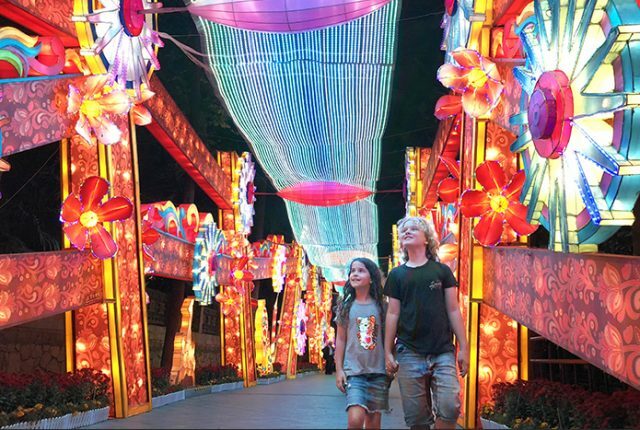 Especially popular is the Power Tower, a 12-metre-tall series of open-air climbing platforms encased in tunnels of netting, and the inventor’s workshops where kids can create extraordinary objects. There’s even spy missions for wannabe secret agents ready to rise to the challenge. 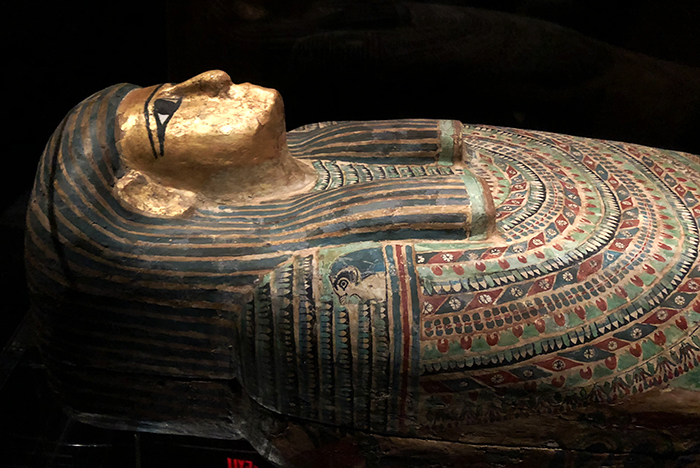 Oh, and on Thursday evenings, from 5 to 8 pm, the Museum hosts a Free Family Night with all admission fees waived. Booyah! 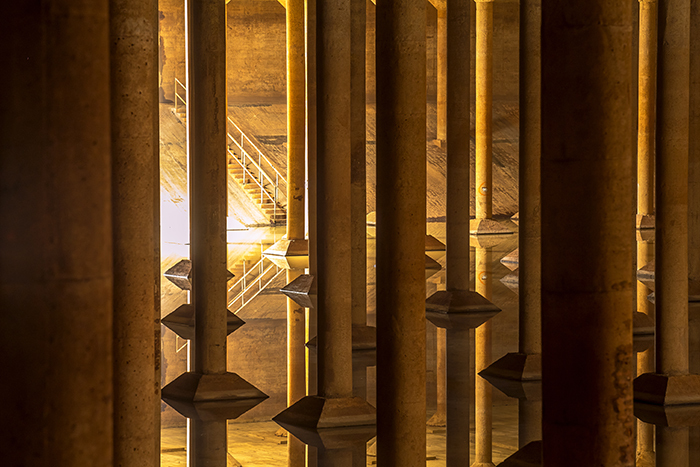 One of America’s great urban green spaces, Buffalo Bayou Park surrounds the slow-moving river of the same name. The verdant parkland contains a diverse ecosystem supporting dozens of species of native flora and fauna including its famous population of bats. The park has become a popular place for Houstonites to bike, hike and paddle. 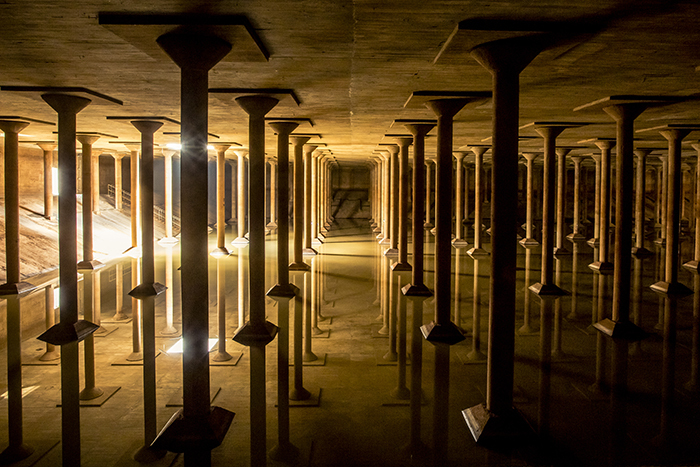 There’s also a dog park, a skate park and a historic reservoir with more than 200 cool concrete columns that has been turned into an awesome public art space. 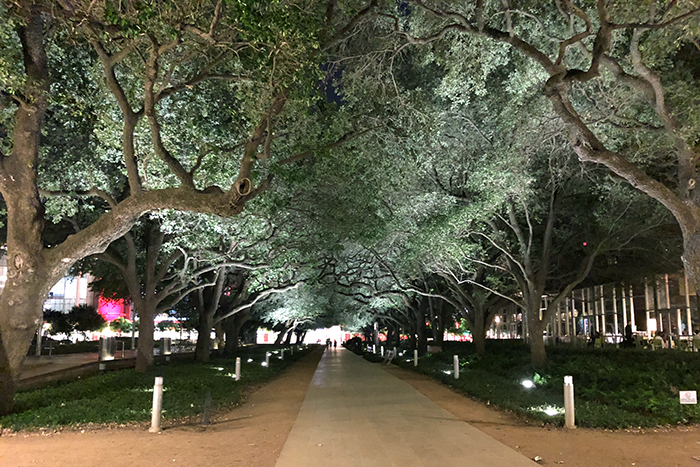 Hermann Park, located alongside the end of the city’s Museum District is home to numerous cultural institutions including the Houston Zoo as well as gardens, picnic areas, great green spaces, and a recreational lake with pedal boats. 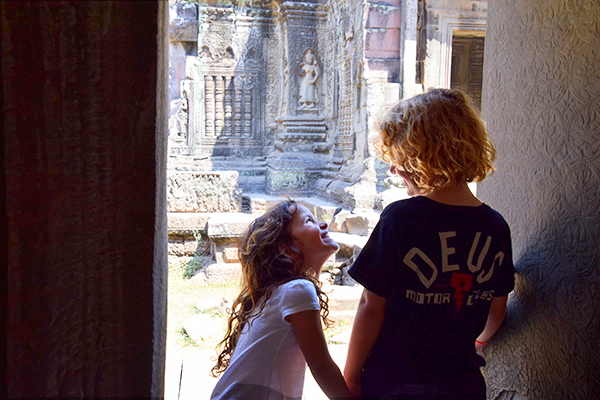 Kids can ride the train along the Hermann Park Railroad, stroll along the trails, or even, enjoy a little moment of zen in the Japanese Garden. The Houston Arboretum & Nature Center provides an oasis of lush meadows, forests, wetlands and ponds, with easily accessible nature trails that make spotting its variety of native wildlife a breeze for families. And smack bang in the middle of downtown is Discovery Green, a 5-hectare environmental showcase in the heart of the city. With its own man-made lake, a kids’ play area, dog runs, a multi-use amphitheater, and an event lawn, it’s been designed as a backyard in the city to bring people together! Yep, there Houston goes being all friendly and togethery and inclusive again! Houston is one of America’s great food cities. Its diverse and dynamic immigrant population have created an ever-evolving cuisine that you really can’t find anywhere else. And perhaps this is why the people here are so bloody warm and friendly. I know I feel pretty darned ready to be nice after a few days of satisfying my tummy and tastebuds on the city’s awesome, and mostly family friendly, food. Good ol’ Texas style BBQ is a mainstay. Killen’s, voted one of the best barbecue restaurants in America, is a mecca for meat lovers with its briskets, pork ribs and sausages all slow-cooked over pits. But a few little local birdies tell me that Burns Original BBQ may even be better. Located in a working-class neighbourhood north of Houston, this joint is run by a family of legendary pit masters in the backyard of a converted small home and an army of raving fans swear their ribs, chicken and brisket are the best. After canvassing an army of uber drivers, Mikki’s Soul Food Café comes out as the number one choice for homemade soul food with its huge serves of baked catfish, pork chops and meat loaf with rice, yams and freshly made cornbread. 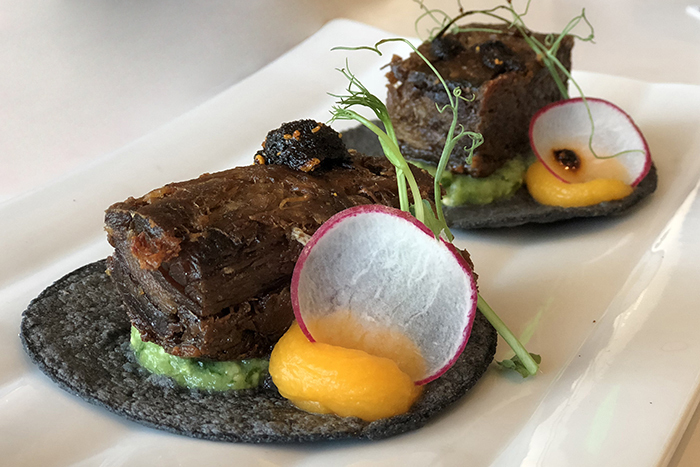 As for Mexican, the city serves up authentic cuisine from all over Mexico with everything from the fajitas served up at hole-in-the-wall eateries to the tacos at the food trucks dotting the city, knock this die-hard foody’s socks off. Then there are the upscale restaurants like the seriously sublime Xochi. 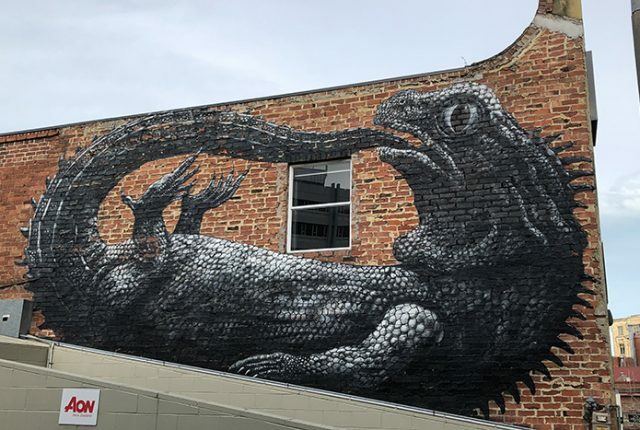 Frankly, it is so good, I’d make the 16-hour Sydney to Houston commute just for a mouthful of their mole. But it is the Vietnamese hybrid Viet-Cajun that really sets my soul on fire. Crawfish & Noodles’ serve up garlic-­butter-soaked, Cajun-spiced mud bugs that are as out-of-this-world as you could get without going into orbit. Standard voltage is 120 V and the frequency is 60 Hz. American plus have two flat-prongs and one round prong. Visitors won’t be allowed to board a plane bound for the United States if they don’t have the required visa waiver or entry visa. If you are entering the United States for less than 90 days you may be eligible to enter on an ESTA under the Visa Waiver Program (VWP). 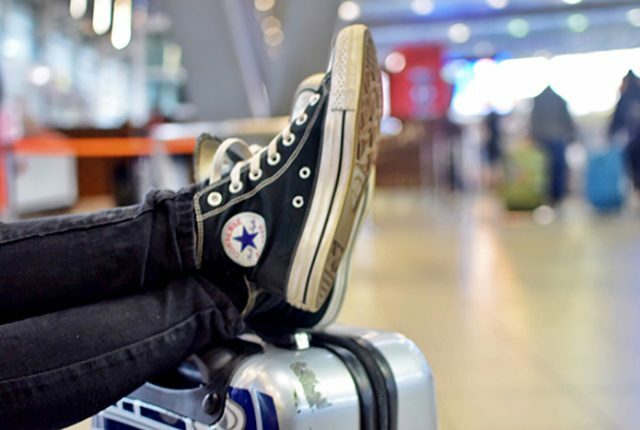 In all other circumstances, you’ll need to get the appropriate visa before you travel. From personal experience, I recommend getting entry documentation organised at least three months before you travel. Visitors will require a passport that’s valid for at least six (6) months.